… or how to provide a robust and innovative network infrastructure to an audiovisual production company so that it can work more quickly and with greater flexibility. As a partner from the very outset, VIDELIO – Cap’Ciné has participated in the growth of Atlantis Télévision, now one of the largest postproduction companies in the world. Docked at the Quai du Pont du Jour in Boulogne-Billancourt, the flagship has no fewer than 400 editing rooms spread over 7 floors. Atlantis Télévision asked VIDELIO – Cap’Ciné to carry out an audit in order to consolidate the building’s network infrastructure. A daunting task given the considerable volumes: 7 floors, 15 Avid ISIS servers for 40 racks, 35 switches and 400 clients, and not forgetting 3 remote sites each with their own Avid ISIS storage and Avid Media Composer clients. The main objective for VIDELIO – Cap’Ciné was to enable any editing workstation to access any storage server without having to modify wiring or configuration. Conversely, it was also necessary to be able to partition off certain servers for reasons of confidentiality. Drawing on its past experience, VIDELIO – Cap’Ciné set up a solution combining high performance and security all within budget. The heart of the network comprises a stack of 3 switches each with 48-port 10GbE and 6-port 40Gbe, to which are connected the 40 racks and 35 department switches scattered around the building and external sites. Roll-out proved to be another challenge, but it was done with no stoppage to production and involved a progressive buildup from September to December 2016. This configuration is integral to preparations for further development. It’s ready to receive new Avid NEXIS storage servers, particularly the high-density Avid NEXIS|E5, equipped with 40GbE ports that are already present on the switches. 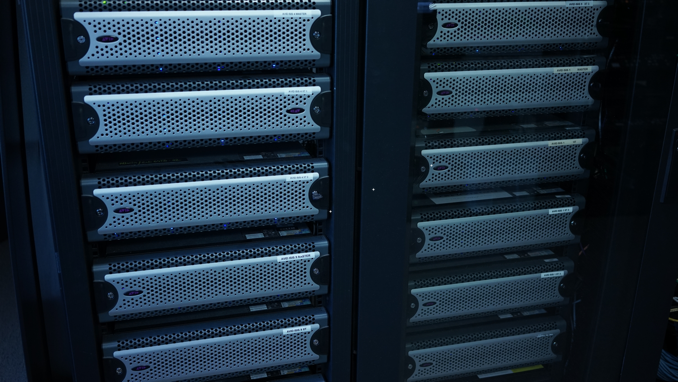 VIDELIO – Cap’Ciné is proud to have set up this innovative configuration for one of the largest concentrations of Avid servers and stations in the world.